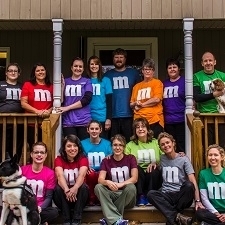 Our Team - Country Veterinary Clinic, P.C. We promise...that as long as your pet is our patient, we will do our best to meet the health care needs and provide you with all the information necessary to make the best decisions for your animal friend. We promise...to treat your beloved pet as if he/she is our own, with the same respect and compassion, and to treat you with the respect we show our friends and family. We promise...that our Doctors and staff will treat clients, patients, and one another in a courteous and professional manner under every circumstance. We will employ only qualified doctors and staff, and will maintain the hygienic environment of our hospital, grounds, and equipment for our benefit of your animal. We promise...to be available whenever possible to help your pet in the event of an emergency, during or after regular office hours. We will offer the best emergency and critical care our hospital has available if your pet has an emergency. 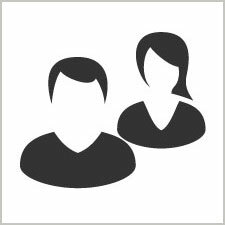 We promise...to answer any questions you may have to the best of our knowledge and to seek answers or provide references if we are unable to offer you a solution. We promise...to offer fair prices that reflect the quality of the care we provide. We will inform you of your charges, obtain your permission before adding additional charges for optional services, and provide an approximate estimate of costs upon request for any procedure performed in our hospital. Since 2013, at Country Veterinary Clinic alone, over 515 NEW cases of Lyme infection have been diagnosed. Dr. Payne earned his B.A. in Animal Husbandry from Michigan State University in 1968, and graduated from the College of Veterinary Medicine in 1972. He is a member of the AVMA, MVMA, and AAEP. Rex has too many animals to count and enjoys farming, hunting, and horses. 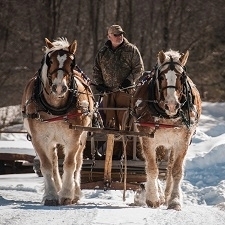 He has beautiful Quarterhorses and two impressive Belgian draft horses at the Country Equine Center who enjoy giving winter rides on a giant bob-sled. Rex has a special fondness for large animal medicine and equine reproduction. When horses look like they are laughing and showing their teeth, they are actually performing a special nose-enhancing technique known as "flehmen." This is determining whether or not a smell is bad or good. 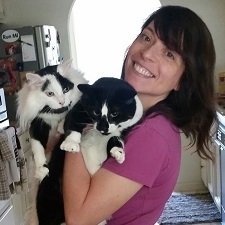 Dr. Fournier graduated from the University of Edinburgh, Scotland veterinary school in 2006 after undergraduate studies in biomedical science at Texas A&M University led her to a study-abroad year in the United Kingdom; thus one year studying abroad ended up as six instead! 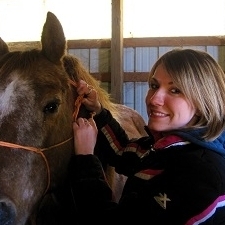 During veterinary school, Stacy worked and studied with Drs. Payne, Waldo, and Walquist while visiting her parents and relatives in Mason and Oceana Counties. She returned to work full-time with Country Veterinary Clinic following graduation for three years, and enjoyed the teaching environment provided there, especially development within the fields of internal medicine, preventive medicine, nutrition, ultrasound, and surgery under the excellent guidance of her experienced colleagues. 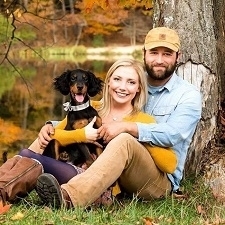 Marriage, a five-year stint as a small-animal veterinarian in North Muskegon, and two children later, Stacy is delighted to be back at Country Veterinary Clinic for good! Stacy and her husband Matt enjoy spending their time outside of work with their young children Claire and Ben, along with their extended family in the local area. Stacy also enjoys home-improvement projects, various activities and exercise outside year-round, and local events/entertainment, cooking, and reading. The Fourniers have a sweet and loving English Labrador Retriever named Gordy and an energetic cat named Mitt Marshall. Ticks have adapted to have an antifreeze-like substance within them, making them less vulnerable to cold and freezing temperatures. Dr. Waldo graduated from the Michigan State University College of Veterinary Medicine in 1988 and is a member of the AVMA, MVMA, and Phi Zeta Veterinary Honor Society. She and her husband, Dr. Walquist, have been at the Country Veterinary Clinic since June of 2003. They have two incredible sons named Barrett and Ryan whom they love dearly. Laura and Glenn currently have multiple pets: Lucie a playful Cavalier King Charles Spaniel, Mumford a snuggly cat, a canary named James, a morning dove named Mr. Brooks, and chickens. Laura enjoys training for and running the occasional Ultramarathon, 50 and 100 mile races (yes, all at once without stopping! ), running normal marathons as "fun runs" for the ultras, hanging out at Lake Michigan with family and friends, and pretty much anything involving moving your body long distances in the out-of-doors! 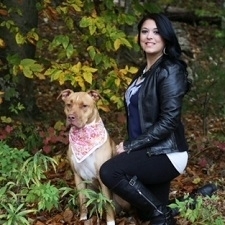 She likes teaching clients about their pet's health and working with them to understand and manage physical illness. 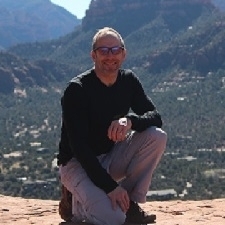 Dr. Waldo is very interested in continuing education, especially internal medicine and surgery, small animal ultrasound and integrating traditional Chinese medicine with Western medicine for optimizing patients' health. Humpback whales can create the loudest sound of any animal on earth. Dr. Walquist earned a B.A. in chemistry from Michigan State University in 1983 and graduated from the MSU College of Veterinary Medicine in 1988. He and his wife Dr. Waldo have been at the Country Veterinary Clinic since June of 2003. Glenn and Laura have two wonderful sons whom they love very much. Glenn is interested in all areas of general medicine and has special interests in certain aspects of orthopedic surgery. He is a member of the AVMA, MVMA, and the Michigan Canoe Race Association. Glenn thoroughly enjoys maintaining an active and healthy lifestyle, particularly Crossfit, running, swimming, and canoeing. He also enjoys watering and growing plants and trees. Every dog has a unique nose print, just as each human has a unique finger print. 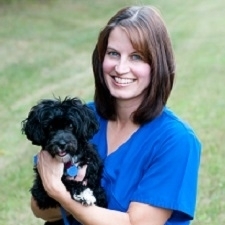 Dr. McConnell graduated veterinary school from Michigan State University in 2012 after finishing her B.A. in mathematics from Albion College in 2007. Since graduation, Dr. McConnell has worked in both private practice and emergency medicine. 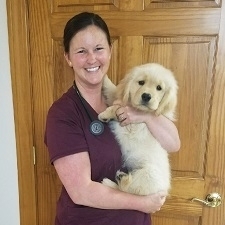 She joined Country Veterinary Clinic in June of 2018. She has a general love of the diversity of veterinary medicine, however, she particularly enjoys soft tissue surgery and emergency/critical care. Crystal and her husband Matt have to beautiful boys, Charlie and Theodore. They also have three dogs: a Golden Retriever named Probert and two Pugs named Gertrude and Turtle. They have four indoor cats: Bear, Hobo, Razzmatazz, and Trixie. Dr. McConnell and her husband enjoy being in the outdoors, running, biking, gardening, and chasing after their boys. A group of pugs is called a "grumble" because in the Netherlands, the word for pugs is mopshond, which in Dutch means "to grumble." Carey has been with the clinic since 2003 and enjoys talking with people. She enjoys meeting new clients and in general just loves 'nice' people. She and her husband Jerry have three sons, Cory, Bryan, and Riley. Her family has three mighty chihuahuahs: Montel Williams Jolly, a gangly little scheister, Jelly Bean the Princess, a sweet lovable "punkin", and Peanut, the Diva. Carey loves camping with her family and sitting around campfires sharing stories. She enjoys entertaining friends and having family dinners, along with crafting, canning, and making Christmas ornaments. Chihuahuas were once considered sacred dogs in ancient Central America where they were believed to have healing qualities for humans. 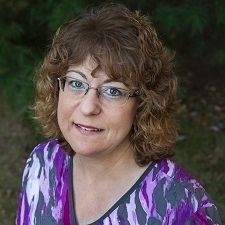 Betty grew up in Ludington and has been married to her high school sweetheart since 1989. They have two grown children and a bolognese/havanese mix dog named Abby. She enjoys many outdoor activities such as tennis, golf, kayaking, roller-blading, and walking. Betty also likes to travel and spend time with her family and friends. Fleas can jump 200 times their height, which is the equivalent to a human jumping over the Empire State Building in New York. Heather joined our team in spring 2012. She attended the University of Michigan (we try not to hold that against her) and majored in Music Education studying Oboe Performance and Dance. 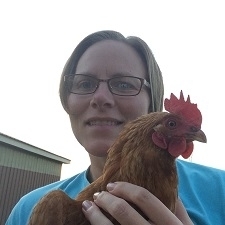 She has been practicing veterinary medicine for over a decade and is currently a veterinary nursing student in the Purdue University Distance Learning Program. She and her husband Jason spend lots of time hanging out with their family and friends. They have two adopted kitties, who are brother and sister, named Victor Frankenstein and Furiosa. In her spare time, Heather's interests are running, reading, amassing a large vinyl record collection, and enjoying life. She loves working with animals and feels that her experiences in the veterinary field have been very rewarding. Cats have 32 muscles in each ear. Even though they might appear to be ignoring you, they are probably aware of all sounds around them. Tangella graduated from Baker College of Muskegon in June 2014 with a degree in Veterinary Technology and joined our team at that time. She has numerous pets including six horses: a paint named Sinatra, an Arabian named Tara, two Quarter Horses named Kachica and Kahlua, and two miniatures named Komande and Kazahr. Tangella also has two Nigerian Dwarf goats named Lattae and Shastah. She has three cats named Kahkasha, Sasha, and Leara. Three dogs currently round out her crew: a Pekingese mix named Lashae, a Shih-Tzu named Tia, and a miniature Australian Shepherd named Rahshi. 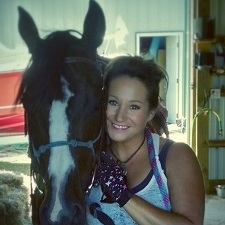 Tangella enjoys being outdoors whenever possible doing activities like bow hunting, snowmobiling, horseback riding in the National Forest, and working with the horses. She also enjoys working with her sweetie, Jeremy, around their new home. Normally, the direction a horse's ear is pointing is where the horse is looking with the eye on the same side. If the ears are pointing in different directions, the horse is looking at two different things at the same time. They can see almost 360 degrees at once. Shelly joined our veterinary team during the summer of 2015. She and her husband Kevin have three awesome kids: Kelly, Ian, and Colin. Shelly loves spending time with her family and participating with them in their many activities which includes caring for a Hedgehog named Sonic! Shelly is also a part-time secretary for her church. This leaves little time for hobbies, but in her spare time, Shelly enjoys gardening, reading, scrapbooking, and watching movies. A cat's purr is thought to be a form of self-healing. The frequency of a domestic cat's purr is the same at which muscles and bones repair themselves. Adult cats only meow to communicate with humans. 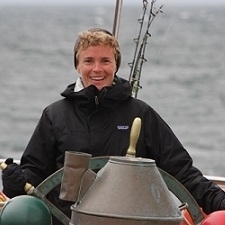 Sandra grew up in Manistee and graduated from Michigan State University in 2005. She joined our team in 2016. She and her awesome husband have three kiddos, Hailey, Lexi, and Lucas. Rounding out her family are two dogs named Toby and Scooter, a cat named Squash, and seven chickens. In her spare time she enjoys gardening, camping, and spending quality time with her family. Sandra is also very involved with her church. Scientists believe that chickens are capable of experiencing REM sleep, which means they have the ability to dream. Jessica joined our team in the Fall of 2015. She is married to the love of her life, Mike and has two beautiful daughters, Cassidy and Trinity. 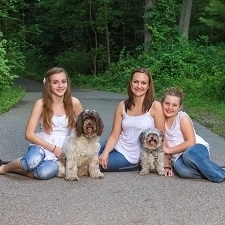 Jessica has a few fur babies: a yorkipoo named Gracie, a cockapoo named Emerson, a pitbull named Zoela Noel, five cats Jax, Simon, Attitude, Ruby, and Tidbit, along with four Holland Lop bunnies named MJ, Mayham, Gus, and Ginger. She also has a guinea pig, Stella, a leopard gecko, Sticky, and a turtle named Buttons. In her free time, Jessica loves to go camping with her family, kayaking, and hanging out at Silver Lake Sand Dunes. She is very passionate about animals and she loves pursuing a career where she is able to help them everyday! Rabbits are actually meticulously clean animals. They are easy to house break and train, and can be taught to come to his/her name, sit in your lap, and perform tricks. Danielle joined us in the Fall of 2015. Her pets are her kids. She and her husband Matthew have 2 horses, a POA (Ponies of the Americas) named Fancy and a Rocky Mountain Horse named Boe. Danielle has had Fancy since birth and they have grown together to become great companions. Boe was a hard keeper when she first got him at age 16, but she rehabilitated him into a calm and gentle gelding who loves the trails. Danielle has a golden retriever named Red, a beagle named Sadie, and 3 rescue cats whose names are Autumn, Zora, and Griffin. Danielle enjoys outdoor activities such as gardening, photography, fishing, and hiking. She has always had a passion to help and care for animals and is thankful to be a member of the staff at Country Veterinary Clinic. Very talented cockatiels can whistle entire songs. Most are better at whistling than at talking. 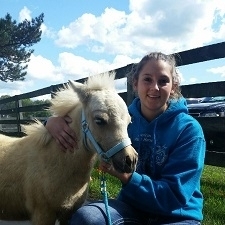 Mandi has lived in Ludington her entire life and is currently enrolled in a program through PennFoster pursuing her Licensed Veterinary Technician degree. She joined the Country Vet team in March of 2017, but has been working in the veterinary field for the past nine years. Mandi married her high school sweetheart, Joel, and together they have four dogs: two gordon setters named Finn and Gill and two chihuahuas named Bruno and Bella. They also have two cats, Brooke and Salem. Mandi enjoys being outdoors, hiking, kayaking, camping, and attending concerts. Gordon Setters have been in America since 1842 when Daniel Webster received two that were purchased directly from the Duke of Gordon in England. Tami joined our team in the Spring of 2017. She is originally from the Cleveland area and moved to Michigan in 1990 with her husband. She has been happily married for 28 years to her high school sweetheart. Tami and Jeff have two grown children who are the center of their lives. She has 3 quarter horses: Timmy a sorrel, Simon a palomino, and her best friend Lucy a tobiano bay. Tami has three awesome dogs: Reggie, a border collie, and Colby and Frank who are beagle/spaniel mixes. Her hobbies are gardening, taking care of her horses, skiing, snowmobiling, going for long walks, and mowing the grass. She loves spending time with her adult kids, dinners, holidays, and cookouts. Tami enjoys talking with people and absolutely loves animals!! A horse's teeth never actually stop growing! Amanda joined our team in 2018 as one of our veterinary technician assistants. She is a native to Ludington and has had a love for animals since day one. One of Amanda's goals is to create a bond with every animal she meets and this is evident every day at work. When not working at CVC, you can find Amanda managing and bartending at The Mitten Bar in downtown Ludington. She recently purchased a new home with her boyfriend Kevin and they stay very busy remodeling. Together Amanda and Kevin have two dogs: Khaleesi, an American Staffordshire Terrier who lives up to her name of being a queen and chief, and a Bloodhound who is six months old and does the hound dog bark perfectly. 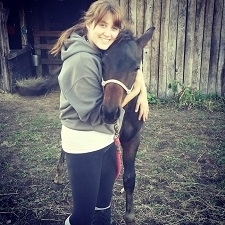 Amanda recently adopted a Quarterhorse named Mr. T and she is very excited to connect with him. She loves to travel and even went on a six-week road trip with her human best friend and her dog best friend, Khaleesi. Amanda also enjoys hiking, kayaking, being outdoors, and spending time with Kevin, her family, and friends. American Staffordshire Terriers were first brought over from England in the late 1800s as working farm dogs. They tend to be slightly larger than their English counterparts. Nicole graduated from WSCC in 2011 and joined CVC in May 2018. She is married to her best friend, the love of her life, and together they have built a small hobby farm. Nicole and her husband raise chickens and breed German Shepherds. She enjoys gardening vegetables and fruit and they share their lives with many pets. Nicole has five German Shepherds named Cassy, Moose, Edelweiss, Foxy, and Suzie. She also has a rescue horse named Doc, a Thoroughbred/Morgan cross named Koda (Nicole participated in Mounted Division with Koda for four years), and her dream horse named Kahn, a Hanoverian. Nicole also has one cat, two goaties, 12 chickes, and a ball python. She enjoys being outside, riding horses, kayaking, hiking, and trail riding in their Jeep. Hanoverian horses were originally from Spain. They can be any color and are excellent jumpers. 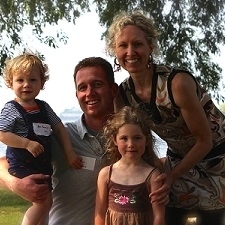 Jonathan graduated from Calvin College in 2000 with degrees in History, English Literature, and Secondary Education. After teaching and coaching for seven years, he began working at the Country Veterinary Clinic in 2008. 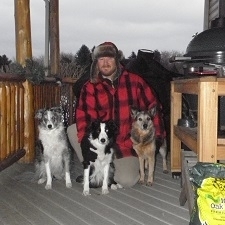 He and his wife Shannon have three dogs: Fiona an Australian Cattle Dog who herds everything, Mattilda a blue merle Border Collie who stares down the other pets into submission, and another border collie named Brunnhilde who is constantly "working." They have two premium Ster Friesian geldings named Titan and Kerrick who drive carts, trail ride, and do dressage; they are also very snuggly and make googly eyes at their mommy. Finally, there are eleven rescue cats, Victor, Cleo, Syndr, Caesar, Princess Toni, Mufasa, Simba, Charlotte, Tommi, Gwynn, and Binx, and each of them are funny and unique in their own ways. Jonathan enjoys being home putzing around their small hobby farm, cycling, hunting, kayaking, planting and watering trees, gardening, outdoor cooking, smoking meat, reading, splitting firewood, campfires, target shooting with pistols, rifles, bow and arrow, throwing knives and axes, and tapping trees to boil maple syrup. There never seems to be enough time to do all of the fun things in life. Border Collies have a space between their shoulders which allow its body to stay low to the ground, in a cat-like, crouched position. They stare intensely at the eyes of other animals in the herd when they want to force them to move in a certain direction.